People on a big bus tour rarely get to stop and smell the flowers, much less take the time for a well-composed photograph. With European Focus Private Tours philosophy of “your pace is our pace,” our guests have all the time they want to capture the moment. Our recent guest Art shoots his ancestral village of Stilfs (Stelvio am Stilfersjoch) during a visit to this gorgeous area of Southern Tyrol in early October. 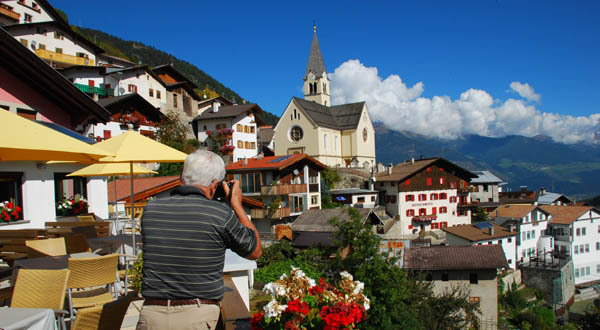 Posted in Austria Tours, Italy Tours and tagged ancestral, ancestry, guided, in, italy, prad, prato, private, stelvio, stilfersjoch, stilfs, tours, trips.